Cheaper coal and cheaper gas will not derail the transformation and decarbonisation of the world’s power systems. By 2040, zero-emission energy sources will make up 60% of installed capacity. Wind and solar will account for 64% of the 8.6TW of new power generating capacity added worldwide over the next 25 years, and for almost 60% of the $11.4 trillion invested. Coal and gas prices stay low. A projected supply glut for both commodities cuts the cost of generating power by burning coal or gas, but will not derail the advance of renewables. Wind and solar costs drop. These two technologies become the cheapest ways of producing electricity in many countries during the 2020s and in most of the world in the 2030s. Onshore wind costs fall by 41% and solar PV costs fall by 60% by 2040. Asia-Pacific leads in investment, representing 50% of all new investment worldwide. Despite slower growth in the near-term, China remains the most important center of activity. Electric car boom. EVs increase global electricity demand by 8% – reflecting BNEF’s forecast that they will represent 35% of new light-duty vehicle sales in 2040, some 90 times the 2015 figure. Cheap batteries everywhere. The rise of EVs further squashes the cost of lithium-ion batteries, boosting power storage and working with other flexible capacity to help balance renewables. A limited ‘transition fuel’ role for gas outside of the US, with only 3% growth in gas demand for power to 2040, and generation peaking in 2027. Coal’s diverging trajectories. Coal generation plummets in Europe and peaks in 2020 in the US and in 2025 in China; however it increases 7% globally due to rapid growth in other Asian and African emerging markets. 2⁰C scenario. An extra $5.3tn investment in zero-carbon power is needed by 2040 to prevent power-sector emissions rising above the IPCC’s ‘safe’ limit of 450 parts per million. Read the Executive Summary of the BNEF report here. 8,1 εκατομμύρια εργαζόμενους απασχολούσαν οι ΑΠΕ στα τέλη του 2015, σύμφωνα με την IRENA (το διεθνή οργανισμό για τις ΑΠΕ). Από αυτούς, 2,8 εκατομμύρια απασχολούσε η βιομηχανία φωτοβολταϊκών, καθιστώντας την ηλιακή ενέργεια για ακόμη μία χρονιά πρωταθλητή στην απασχόληση. Very little research has been carried out on the impacts of solar farms on biodiversity, despite the proliferation of this industry within the UK. This study investigates whether solar farms can lead to greater ecological diversity when compared with equivalent undeveloped sites. The research focussed on four key indicators; botany (both grasses and broadleaved plants), invertebrates (specifically butterflies and bumblebees), birds (including notable species and ground nesting birds) and bats, assessing both species diversity and abundance in each case. A total of 11 solar farms were identified across the southern UK for inclusion in this study. All sites had been completed for at least one growing season. Approaches to land management varied from primarily livestock grazing through to primarily wildlife-focused management. At each site the level of management for wildlife was assessed as low, medium or high based upon activities such as re-seeding, grazing or mowing regimes, use of herbicides and management of hedgerows and field margins. To assess changes in biodiversity relating to the solar farm, we compared wildlife in the solar farm to wildlife at a “control” plot nearby. The control plot was outside the solar array, but within the same farm. Most importantly, the control plot was under the same management as the solar farm was prior to its construction. The purpose of the control plot was to give an indication of wildlife levels before the solar farm was constructed. Botanical, invertebrate, bird and bat surveys were then carried out during 2015 on both the solar plot and the adjacent matched control plot. The results of these surveys were compared statistically to identify any changes in biodiversity the solar farm, and its land management, had brought about. The results of the botanical surveys revealed that over all, solar farms had greater diversity than control plots, and this was especially the case for broadleaved plants. This greater diversity was partly the result of re-seeding of solar farms: where species-rich wild flower mixes had been sown this diversity was greater, but even where agricultural grass mixes had been used diversity was greater as compared to the largely arable control plots. Management of grassland also influenced botanical diversity. At sites with conservation grazing (winter and spring sheep grazing with a pause through the summer for wild flowers to flower and set seed), plant diversity had increased through natural processes as compared to the original seed mix. The invertebrate surveys revealed that butterflies and bumblebees were in greater abundance on solar farms than on control plots, and the greatest numbers occurred where botanical diversity was also high. 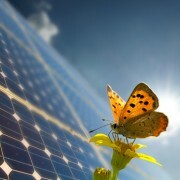 The number of species did not differ significantly between most solar farms and control plots. However, at several sites with higher botanical diversity, and where management for wildlife was considered to be ‘high’, a greater diversity of bumblebee and butterfly species was observed. The bird surveys revealed that over all, a greater diversity of birds was found within solar plots when compared with control plots. On two of the sites, a greater abundance of birds was observed on the solar farms when compared with control plots. The greater abundance and species of birds on these sites suggests foraging opportunities within the solar farms are greater than on the adjacent undeveloped sites. International Energy Agency Photovoltaic Power System Programme (IEA PVPS) Publishes Its 20th “Trends in Photovoltaic Applications” Report. 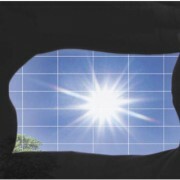 IEA PVPS published its 20th “Trends in Photovoltaic Applications” report on October 22nd 2015. This unique report provides official and accurate data about the photovoltaic (PV) market, industry, support policies, research activities and the integration of PV into the power sector in the 24 countries reporting to the IEA PVPS Programme, plus a reliable estimate of the other most important PV markets. In a market where the main market driver remains the Feed-in Tariffs, Asia has taken the lead of PV development. 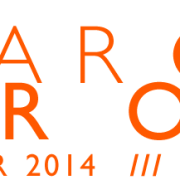 Paris, France, October 22nd 2014 – After a years of fast PV market development, 2014 has been a year of reduced growth, with Japan and the US driving the growth. In total, about 40 GW of PV capacity were installed in the IEA PVPS countries and the other major markets during 2014 (2013: 37 GW). This raised the total installed capacity to more than 177 GW, with now more than 1% of the electricity demand coming from PV. Asian countries represented the first regional market for PV for the second year in a row, with China (10.6 GW) and Japan (9.7 GW) representing 50% of all installations in 2014. American countries progressed (USA: 6.2 GW) while the market went down for the third year in a row in Europe (7 GW). Chile and South Africa were the most notable developments outside of the already developed markets. Feed-in Tariffs (FiTs) remain the dominant driver for PV market development with 59% of PV installations in 2014 having been underpinned by FiTs. However, the share of new business models, including competitive PPAs, tendered FiTs and self-consumption-driven installations rose to more than 22%. In emerging markets, bids for utility-scale PV have reached record-low levels below 60 USD per MWh. In at least 22 countries, the annual PV contribution to electricity demand has passed the 1% mark, with Italy at the top with close to 8%, Greece above 7% and Germany above 6%. The overall global PV contribution amounted to around 1.1% of the world’s electricity demand in 2014. 13 countries including Australia and Japan have also passed the 2% mark. Larger consumers of electricity such as China or the USA will require more PV capacity to reach the 1% threshold. The PV industry produced close to 46 GW of modules in 2014, with a market significantly below that level and production capacities close to 70 GW. The lowest prices of modules continued to decline slowly in 2014, while the highest prices continued to go down. System prices continued to go down as well, in all parts of the world including Europe. In addition, the global turnover of the PV market remained roughly stable at 82 BUSD, due to market growth and average price decrease. Finally, PV has extremely rapidly become a significant source of electricity in several countries worldwide. The speed of its development comes from its unique ability to cover most market segments, from the very small individual systems for rural electrification to utility-scale power plants (today above 600 MW in size). From the built environment to large ground-mounted installations, PV prevails as an energy source of choice, as a consequence of the various characteristics that make it suitable for most environments. 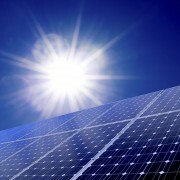 The IEA Photovoltaic Power Systems Programme (PVPS) is one of the collaborative R&D Agreements established within the IEA and, since its establishment in 1993, the PVPS participants have been conducting a variety of joint projects in the application of photovoltaic conversion of solar energy into electricity. The 29 PVPS members are: Australia, Austria, Belgium, Canada, China, Denmark, EPIA, the European Union, Finland, France, Germany, the International Copper Alliance, Israel, Italy, Japan, Korea, Malaysia, Mexico, Netherlands, Norway, Portugal, SEIA, SEPA, Spain, Sweden, Switzerland, Thailand, Turkey, and the United States of America. 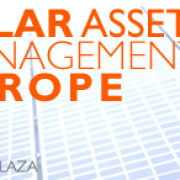 For the third year in a row, Solar Asset Management Europe will bring together the leading investors, owners and service providers in the European PV industry. The event provides an unparalleled networking opportunity, as well as the best way to learn about innovations and best practices for optimizing performance, management and financial returns of PV assets. Self-consumption helps European consumers and businesses to control their energy bill. In a context of increasing energy prices, households and businesses using solar electricity rely on a power source the cost of which will remain fixed for the decades to come. Self-consumption does not only provide cheap electricity to people; it also protects them against volatile energy prices. consumption solutions is an obvious pillar of such strategies. Self-consumption makes consumers active players of the energy transition, a key objective of the Energy Union. Distributed renewable generation is a fundamental contributor to a clean, resilient and competitive European power system. Self-consumption combines these two dimensions: it give consumers a real choice and support the transition towards a sustainable energy mix. Importantly, it attracts private capital from consumers who have lower expectations in terms of rate of return compared to pure financial investors, thus making the energy transition cheaper. Self-consumption is a key driver for demand-side flexibility. Because it leads to concrete economic benefits, making the best use of on-site generation will steer the development of solutions such as storage, smart appliances and more flexible contracts for consumers. These solutions will in turn reduce peaks of production and consumption for the benefit of grid operators. Self-consumption has also the potential to help grid operators by reducing congestion issues and bottlenecks. New York, U.S.A., 19 May 2015 – More than 7.7 million people worldwide are now employed by the renewable energy industry, according to a new report released today by the International Renewable Energy Agency (IRENA). This is an 18 per cent increase from last year’s figure of 6.5 million. The report, Renewable Energy and Jobs – Annual Review 2015, also provides a first-ever global estimate of the number of jobs supported by large hydropower, with a conservative estimate of an additional 1.5 million direct jobs worldwide. As in previous years, renewable energy employment is shaped by regional shifts, industry realignments, growing competition and advances in technologies and manufacturing processes. Jobs in the renewable energy sector are increasingly being created in Asia, with five of the 10 countries with the most renewable energy jobs now located in the region (China, India, Indonesia, Japan, and Bangladesh). As a result, even with continued jobs growth, the European Union and the United States now represent 25 per cent of global renewable energy jobs, compared to 31 per cent in 2012. The 10 countries with the largest renewable energy employment figures are China, Brazil, the United States, India, Germany, Indonesia, Japan, France, Bangladesh and Colombia. The solar PV industry is the largest renewable energy employer worldwide with 2.5 million jobs, followed by liquid biofuels with 1.8 million jobs, and wind power, which surpassed one million jobs for the first time this year. The employment increase spreads across the renewable energy spectrum with solar, wind, biofuels, biomass, biogas and small hydropower all seeing increases in employment. 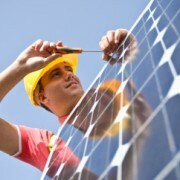 – Solar PV is the largest renewable energy employer with 2.5 million jobs worldwide, up from 2.3 million at last count. – Wind employment passed the one million jobs mark, up from 834,000 at last count. – Liquid biofuels (roughly 1.8 million, up from 1.45 million), modern biomass (822,000, up from 782,000) and biogas (381,000, up from 264,000) are also major employers, with jobs concentrated in feedstock supply. – China is the world’s largest renewable energy employer with 3.4 million jobs. China leads global employment in solar PV, wind, solar heating and cooling, small and large hydropower, biomass and biogas. – Brazil is the leading employer in biofuels with 845,000 jobs. Its wind industry is also growing rapidly with employment increasing 12 per cent to 35,800 from last count. Wind power capacity has expanded from one GW in 2010 to nearly six GW in 2014 and could reach 16.5 GW in 2019. 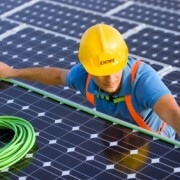 – In the United States, total solar employment surged 22 per cent from 142,700 to 173,800 and overall wind jobs increased 43 per cent since last count to 73,000. Data also finds that employment of women in the solar industry is on the rise, increasing from 26,700 to 37,500. – In India, if the government reaches its goal of installing 100 GW of solar PV and 60 GW of wind, it will generate more than 1 million jobs by 2022. – Germany is the leading renewable energy employer in Europe with 371,400 jobs. German wind capacity expanded 5.3 GW in 2014, the second highest addition after China. – France saw a job reduction of 4 per cent since last count, but still leads Europe in biomass, ground source heat pumps and biofuels employment. The overall goal of the PV GRID project is to address the regulatory, normative and administrative barriers hampering the integration of photovoltaics into the electricity distribution grids in Europe. The European Commission study on “Energy subsidies and costs in the EU” demonstrates that the direct total cost of conventional energy technologies, such as coal and nuclear, is much higher than the direct cost for solar energy. On 7 and 8 October 2014 in Milan, Italy, over 250 asset managers, asset owners, investors and service providers will come together at Europe’s largest Solar O&M and Asset Management conference.